UPDATED: Mon., Sept. 18, 2017, 11:03 p.m.
A record 80-day stretch without rain finally ended Sunday night. Just before midnight, the National Weather Service recorded the first measurable rain since June 28. As of 5 a.m. about 0.08 inch of rain had fallen on Spokane. By 9:30 a.m. Monday about two-tenths of an inch had fallen. 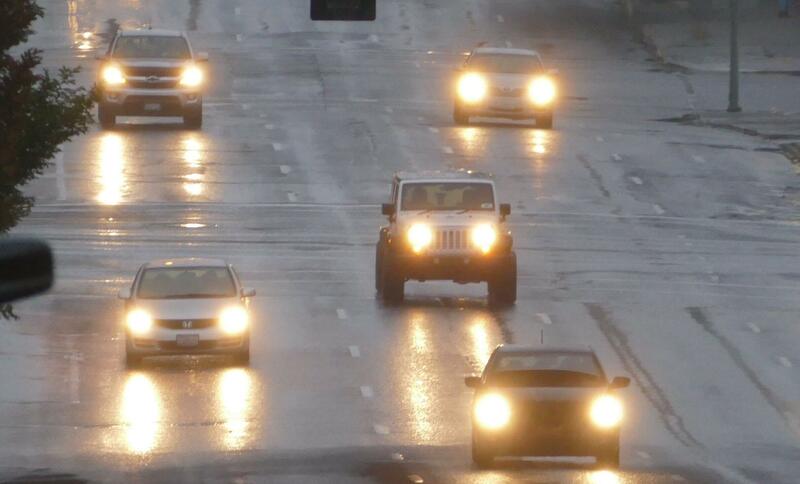 More rain fell in many locations, said National Weather Service meteorologist Robin Fox. More than a half inch fell on parts of Post Falls. Part of Spokane’s South Hill received a third of an inch. Pullman recorded a half inch. More rain is in the forecast for Tuesday and Wednesday, and there’s a small chance of rain on Thursday. The weekend is expected to be dry. The wet weather punctuated a marked turn in the region’s weather. Just days ago smoke from Montana wildfires settled back into Spokane. Then a big storm system arrived to clear the air. In Montana more than a foot of snow blanketed the high country in some places. The snow smothered some of the stubborn fires that have burned more than one million acres. Yet fire officials say its too early to call an end to the 2017 fire season. Published: Sept. 18, 2017, 9:47 a.m. Updated: Sept. 18, 2017, 11:03 p.m.